Zoisite was named after the scientist who first reported the mineral, Sigmund Zois. 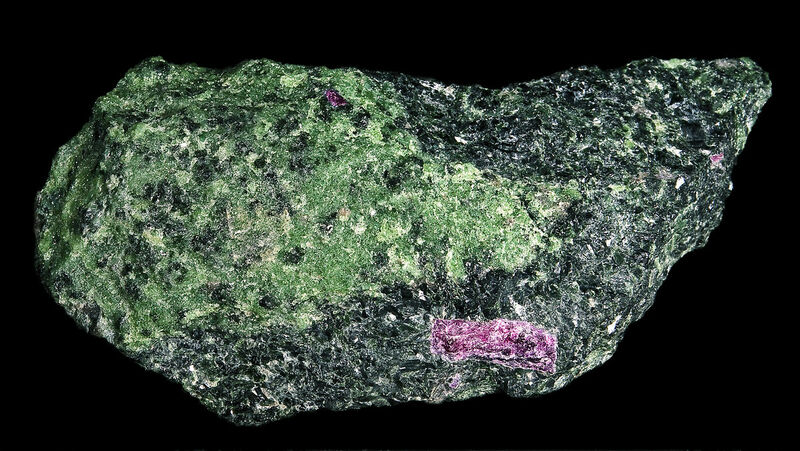 Zoisite was first found in the Sau-Alp Mountains of Austria in 1805. It was originally called saualpite (after the place it eas discovered first) and has only recently been considered a gemstone. There are three varieties of zoisite gemstones: tanzanite, thulite, and anyolite. 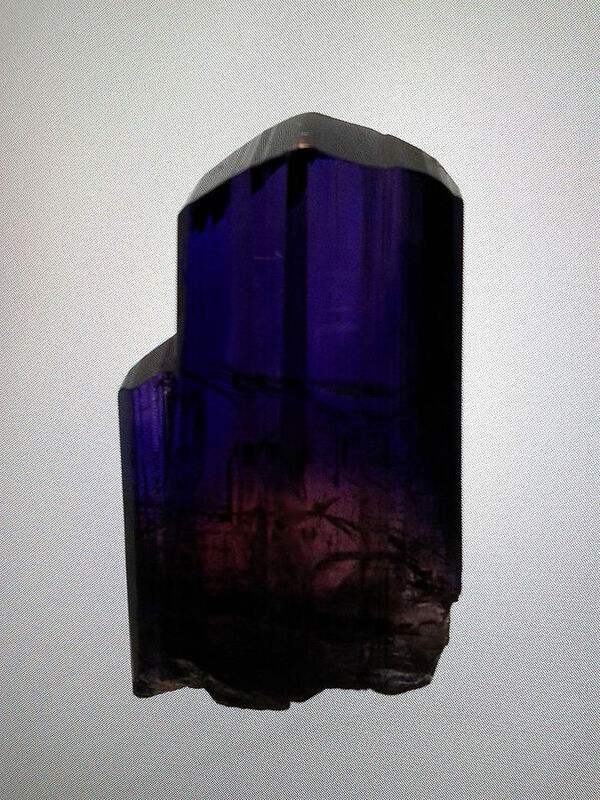 Tanzanite regularly occurs as a transparent stone and is by far the most important stone of the zoisite species. Thulite and anyolite are usually opaque, irregular-shaped rocks that are used for carving or cabochons for inexpensive jewellery. It is worth noting that transparent zoisites are strongly pleochroic which means they can show different colors depending the direction that the stone is viewed. For instance tanzanite can appear blue in one direction, red in another, and green in a third. Tanzanite: Tanzanite is the most valuable variety of zoisite family with calcium aluminium hydroxysilicate chemical formula. Tanzanite was named after the country that it was discovered first, Tanzania, in 1967. The name was introduced by the New York jewellers Tiffany & Co and was accepted by the trade. However scientists refer the gemstone as blue zoisite. Its color ranges from deep sapphire blue to violet-blue to soft lavenders and lilacs. Vanadium is the coloring agent for tanzanite. As previously mentioned, tanzanite show trichroic optical properties. It shows three different colors depending on the angle of view. This provides an optical mix of blue, violet, and burgundy all in one gemstone. Natural tanzanite gemstones usually contain regions or streaks of brown or yellowish tints. These undesirable inclusions can be removed through heat treatments. This heat treatment also deepens the blue color and is considered as a permanent treatment. Tanzanite is only found in Tanzania and Kenya and it is more than a thousand times rarer than diamond. This rarity and its deep blue color make it an expensive gemstone. 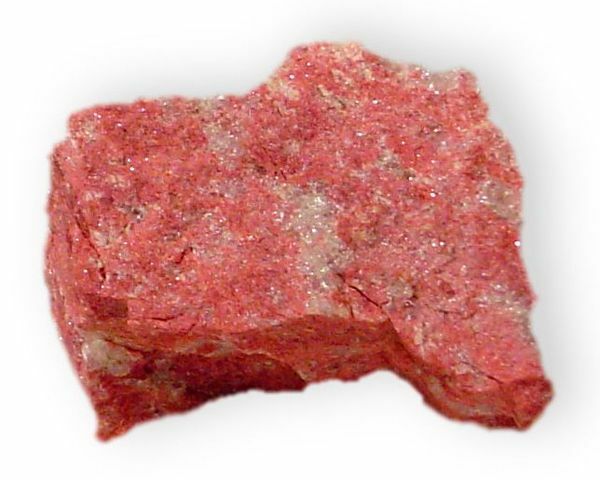 Thulite: Thulite (also called rosaline or unionite) is a dense, opaque pink to red variety of zoisite which is colored by element manganese. It was named after Ultima Thule, the ancient Greek name for Norway. It is also the national stone of Norway. Thulite is usually cut as cabochons or beads or used for carvings, and is very inexpensive. Norway, Western Australia, Namibia, Italy, Austria, and USA (Washington and North Carolina) are the main sources of thulite gemstone. Anyolite: Anyolite is green variety of zoisite but it is very difficult to find pure green anyolite. Instead it is found as a multicolored metamorphic rock which contains black hornblende inclusions and large, low-grade opaque rubies. The mix of green, red, and black make anyolite an attractive stone for carvings, beads, and cabochons. The Longido area of Tanzania supplies a large quantity of this stone and it is also found in Kenya. It was first discovered in 1954 in Tanzania and its name is derived from the Masai word for green. 2- Walter Schumann, Gemstones of the world,Sterling Publishing Co. Inc, New York. 3- Lance Grande and Allison Augustyn, Gems and Gemstones timeless natural beauty of the mineral world, The University of Chicago Press. 4- Michael O'Donoghue, Gemstones, Cambridge University Press.